Jumping on Kelly's linkup a couple days late, but it's summer so nobody cares! 1) Phil's summer camp is over! Now he can enjoy his few weeks of summer before school starts :) He always finds cool activities for the kids and this year had some real winners! 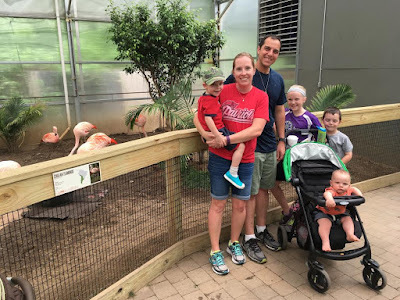 He had the local zoo members come with some animals, a huge blow-up whale that the kids could walk inside, a visit to the fire station, a trip to the ice cream store, the Marionite sisters visit, and lots of crafting and sports along with daily Mass and time for summer homework. It was three weeks of fun and the kids were exhausted at the end of every day - exactly what summer should feel like! Now that camp's over, it's time for more beach days! Well, at least until we see jelly fish, and then I'm sticking to pools. The weather has been so cool lately that I'm hoping the water doesn't get hot enough for the jellies to come hang out. Alexander Blaise Martin turned 6!! He started out the day by telling me he felt a little bigger (because he will be the biggest man one day, since he was the biggest baby - he thinks!) and then asked for donuts for breakfast. Your wish is my command, birthday boy! Phil brought all the kids to camp and Alexander got to visit with the firemen and spray the hose. At lunch time, all the kids sang to him, and later he said it was the best day ever because he "had to do no work today. Zero work. Just fun!" Ahhhhh, I don't think feeding the dog twice a day counts as "work" but whatever makes you have a great day, buddy! Back in May, Phil was talking to the dad of one of JP's classmates when he mentioned how they love to take their family to a Polo game in the summer. We never knew this was even a "thing" around here, and we certainly didn't feel like our family were exactly polo-watchers (insert elevated pinkie). A few weeks later, when we were discussing what to get my really-hard-to-shop-for-Dad (because he's so easy! You know the type!) for his upcoming 77th birthday. I said we should just DO something with him instead of buying him another pair of shorts. We remembered the fancy-schmancy polo thing and looked into it. Wouldn't you know, these international polo games had been happening only 35 minutes away for 26 years, had games on Saturday evenings with VERY reasonable prices ($12 per adult, kids under 15 free!!!) and it was lawn seating where you just brought your own chairs and food. Totally doable! As luck (of the Irish) would have it, America was playing Ireland in July, the month of my father's birth! We told him our plan, and headed off to the much anticipated polo match last weekend. We arrived an hour early, and the place was mobbed!! People set up tents and grills and had bottles of wine and it was so much fun! A Fashion and Faith Giveaway! A Fashion and Faith giveaway...a little of this world, a little of the next...a little country, a little rock n' roll...ok, let's get to it! Are you a female of mothering age? Do you like to wear shorts because it's hot out but can't find any that are decent quality, with an inexpensive price tag, and above all modest?? Well look no further, because I found some comfy, cute, and most importantly in 7 inch and 9 inch length shorts at Old Navy. To help you shop, I'm throwing in a $25 gift card to Old Navy! Did you know it was the 100th anniversary of Our Lady of Fatima appearing to the children in Portugal? 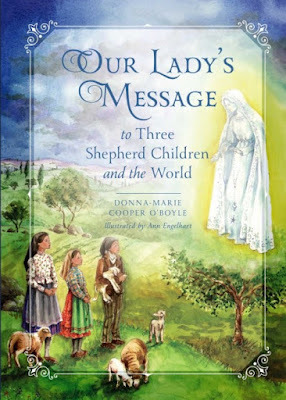 Well it is, and to help teach your family about this beautiful apparition, Sophia Institute Press has published a book entitled Our Lady's Message to Three Shephard Children and the World. Maggie has already devoured the book, with it's pretty illustrations, and loved it. My mom has a great devotion to Our Lady of Fatima, and we always prayed the family rosary. She even bought me an Our Lady of Fatima statue for my office when I started my current position! I think it's a beautiful devotion to be able to pass down to my own children and I'm partnering with Sophia Institute Press to give away a copy of this book! Just enter below and head over to my Instagram to get another entry! Thanks for playing! Not to be confused with camping. Because I'd rather die than sleep in a tent in the middle of nowhere with wild animals and bugs roaming free. But God Bless those of you who love it! 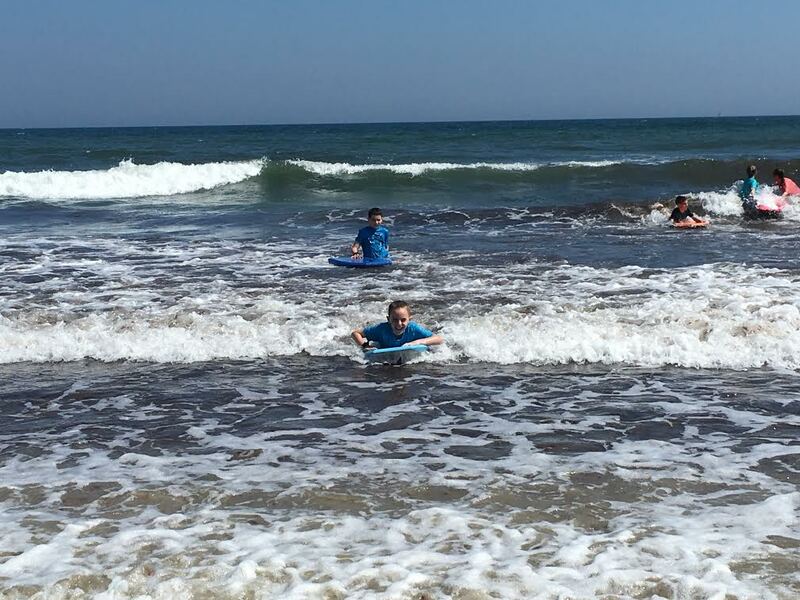 Boogie boarding like a boss. We've got some summer camps planned for the kids this month. Phil runs a camp at their elementary school for three weeks, and Declan is old enough to attend so most of them are there. They go to daily Mass, make crafts, play sports, hang out with friends, and have time to work on their summer homework from the school. 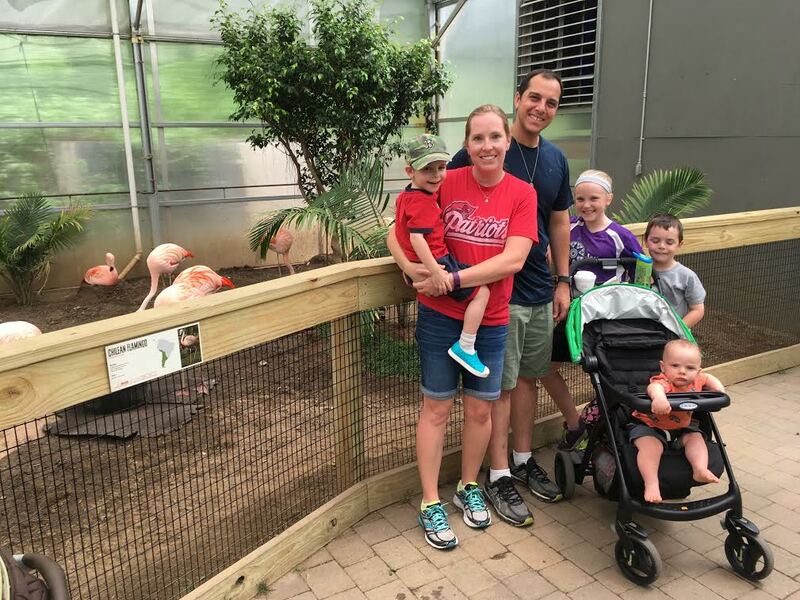 Taking our little zoo to the big zoo. Wow, it's been awhile since I had some downtime to sit and write. I miss it. It just seems as the years pass, we get busier and busier. I like to think of busyness in the family life as a wave and we are just in the swell right now. Soon enough we will have kids who can drive and alleviate some of that time sucking parental duty. But right now we have seven active kids who need to be places but can't get there, need to eat but can't really cook, are too young to babysit the littlest ones for too long, are too old to think going to a playground is still the best day ever. We can't just stay home like we used to do when the older kids were young, so the younger kids are leading a completely different life than the oldest. When the littles get big, they won't have any little ones around, so they too will be living a different life than their big siblings now. Everyone has to be flexible, patient, understanding...and we all know that is a tall order. I even snapped at a single young coworker who kept complaining about being exhausted...seriously?? Is it that tiring taking care of only yourself? (Not my best moment!) Anyway, it's a great season we are in, full of so much energy and life, but just extremely tiring as I fall into bed by 9 hoping the kitchen fairies will come and help a mother out. Back in the beginning of June, I read an article by Erica Tighe that touched my tired heart. Go ahead and read it, I'll wait.